Canon Powershot SX710 HS vs Sony RX100 is a comparison between two compact digital cameras with 20 MP resolution. These two models are available in a similar price range. These two models are viable options if you want something compact, lightweight, and portable. So, which is the one that you better choose? 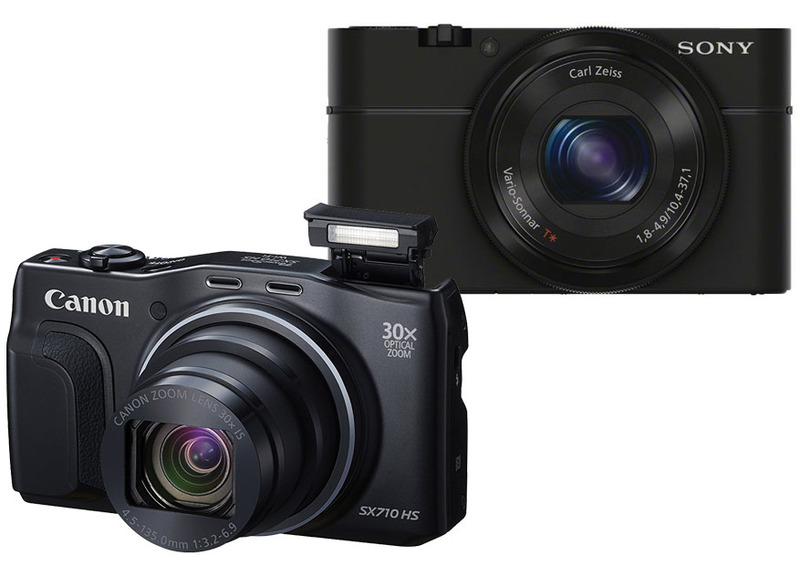 Below, we are going to see the comparisons between Canon Powershot SX710 HS vs Sony RX100 based on several aspects. Although the two are similar that they are both compact digital cameras with similar resolution, they come with different features. We are also going to compare the image quality. So, continue reading! Since both models classify as compact digital cameras, both of the two models are very portable. 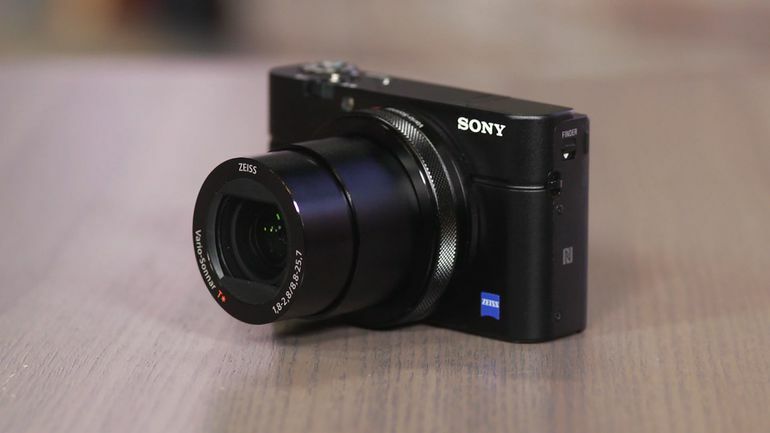 Sony RX100 is a little bit smaller, but it is also slightly thicker and heavier. Nevertheless, the differences are very marginal. Compared to Sony RX100, Canon Powershot SX710 HS has a housing that has more curves. This model is 113 mm wide, 66 mm tall, and 35 mm thick. It has a weight of 269 grams. The housing is smooth with a matte finish. However, on the right side of the front panel, you can find a small textured area meant to improve handling. On the rear panel, you can find a three-inch fixed display screen – a staple size for today’s digital cameras – along with dial controls. On the other hand, Sony RX100 keeps a rigid rectangular shape. The whole housing is smooth, and there is no textured grip area. As the effect, the camera requires careful handling, especially when your hands are sweaty. You may want to wipe your hands dry first before holding the camera, in order to minimize the chance of it accidentally slipping down. Sony RX100 also features a dial control for quick access to essential features, and this is great. Obviously, these two cameras come with different lenses. If you are looking for a super zoom lens, Canon Powershot SX710 HS is most probably more suitable. It is equipped with a Canon zoom lens that offers up to 30X optical zoom (25 – 750 mm F/3.2–6.9 equivalent) with image stabilization. That is a high zoom level. On the other hand, Sony RX100 is equipped with a high-quality Carl Zeiss Vario-Sonnar T lens. Although it can only provide a maximum of 3.6X optical zoom (24 – 70 mm F/1.8–2.8 equivalent), it is a fast lens and it has image stabilization as well. After all, it is not a zoom lens. This is a great option if you don’t need a zoom lens. When choosing between Canon Powershot SX710 HS vs Sony RX100, one of the things that you have to consider is the image sensor. Yes, both come with the 20 MP resolution, and both are backside-illuminated. However, they come with different sensor size. Canon Powershot SX710 HS only has a 1/2.3” sensor. On the other hand, Sony RX100 comes with a 1 inch sensor. With a larger sensor size, you can get improved low-light performance. The larger surface enables the sensor to capture more light, that’s why even in low-light it can still produce visible images. It also allows better dynamic range. So, of these two compact digital cameras, which is the one that offers better performance? How fast can they shoot? Canon Powershot SX710 HS offers an ISO range of 80 – 3200. That is pretty good, but not impressive. It has a continuous shooting speed of 6.0 fps. Also good, but not impressive. It can record videos at a maximum quality of 1920 x 1080 (Full HD). Sony RX100 offers better performance. It comes with an ISO range of 125 – 12800, which is definitely a significant step-up from Canon Powershot SX710 HS. In addition, Sony RX100 features a bulb shooter, which enables you to manually control the shutter. You can hold the shutter open for a long exposure. That’s a very nice feature. It has a decent continuous shooting speed of 10.0 fps. Combined with the 25 focus points and RAW capability, Sony RX100 makes a good option for sports photography. The autofocus performance is good enough to track and shoot moving subjects. For videography, Sony RX100 also has a maximum quality of 1920 x 1080 (Full HD). Compared to Canon Powershot SX710 HS, Sony RX100 brings a lot more features into the deal. Well, both models come with built-in wireless for easy connectivity. But there is a list of features that are only available on the Sony camera. As mentioned above, Sony RX100 supports RAW in addition to JPEG. Sony RX100 also comes with a nice electronic viewfinder with 1440k dot resolution. It has a built-in ND filter, which enables you to use a larger aperture even under a strong light. It also supports AE bracketing. The final aspect that we want to compare between Canon Powershot SX710 HS and Sony RX100 is the battery life. The higher, the better. Nobody wants to recharge their camera’s battery once a day. And once again, Sony RX100 comes out on top. With this model, you can easily get more than three hundred shots with a single charge. The maximum battery life, according to the papers, is 320 shots. On the other hand, Canon Powershot SX710 HS only has a maximum battery life of 230 shots. As you can see, Sony RX100 presents many more strengths and advantages. It has a better image sensor, better ISO range, and overall better performance. It also has many more features, making it a very good value for the money. And it has a better battery life. However, Canon Powershot SX710 HS is the way to go, if the zoom lens is your top priority.